At the current level of political and societal integration, a large federal budget is unrealistic in the euro area. The authors make three recommendations that would lead national fiscal policies to be more stabilising with respect to the economic cycle, while achieving long-term sustainability. They also recommend a move towards a European unemployment insurance scheme targeted at ‘large’ shocks, and a minimum set of labour-market harmonisation criteria. Fully-fledged federations assign fiscal policy stabilisation largely to the federal level, based on a relatively large budget. In the euro area, a large federal budget is unrealistic at the current level of political and societal integration, and fiscal stabilisation will continue to rely mainly on national policies. For aggregate fiscal policy to become more stabilising with respect to the economic cycle, while achieving long-term sustainability, it is necessary (i) to avoid imposing self-defeating fiscal adjustments on crisis countries by making sovereign debt restructuring a real possibility (which involves strengthening the banking sector and extending the remit of the European Stability Mechanism); (ii) to task the planned independent European Fiscal Board with delineating exceptional times during which fiscal coordination is needed on top of monetary policy; (iii) to make national fiscal policies more stabilising by allowing incremental investment and unemployment spending to be shifted from bad to good times based on national adjustment accounts. We also recommend a move towards a European unemployment (re-)insurance scheme targeted at ‘large’ shocks, with varying contributions from countries and a minimum set of labour-market harmonisation criteria, which in any case are desirable for the functioning of monetary union. For footnotes and references, please see the PDF version of this publication. The construction of the euro area left aside the question of a fiscal union, but the crisis re-opened the debate. Of the three classical functions of fiscal policy – provision of public goods, redistribution and stabilisation – only the last provides a clear justification for fiscal policy at euro-area level. 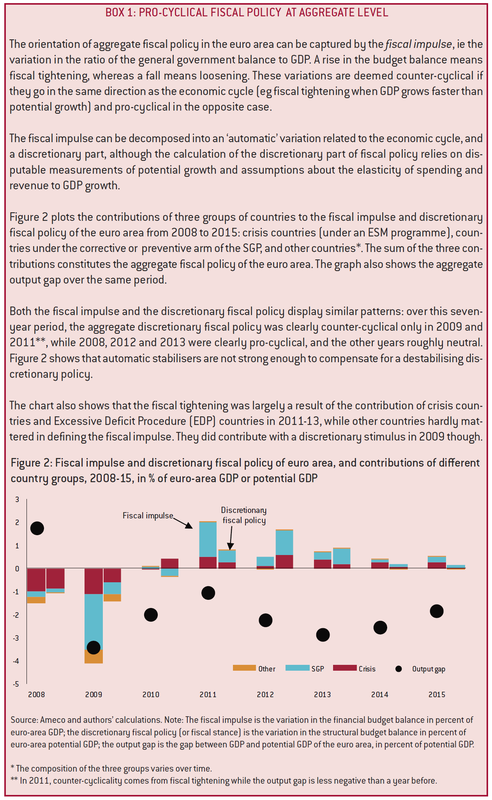 Unsustainable fiscal policies in one member state could destabilise the entire euro area, and national policies could also have direct and indirect demand effects with an impact on area-wide inflation. ‘Every man for himself’ is not an option. But coordination is difficult because it involves 19 national budgetary processes and a common central bank. Empirically, fiscal policy in the euro area and elsewhere often tends to accentuate rather than attenuate the economic cycle. The discretionary part of fiscal policy, as opposed to automatic stabilisers, is responsible for this unfortunate feature, while automatic stabilisers generally work well. Fully-fledged federations assign fiscal policy stabilisation largely to the federal level, based on a relatively large budget. In the euro area, a large federal budget is unrealistic at the current level of political and societal integration, and fiscal stabilisation will continue to rely mainly on national policies. We make three recommendations that would lead national fiscal policies to be more stabilising with respect to the economic cycle, while achieving long-term sustainability. First, the euro area should avoid imposing self-defeating fiscal adjustments on crisis countries. To achieve this, sovereign debt restructuring should be made possible by further strengthening the banking sector and extending the remit of the European Stability Mechanism. Second, fiscal policy in exceptionally good or bad times should be guided by the planned independent European fiscal board, while the Stability and Growth Pact (SGP) would apply strictly in ‘normal’ times. Of course, fiscal coordination is mostly needed in exceptional times, when the European Central Bank can no longer by itself stabilise the euro area. Third, the Stability and Growth Pact should be able to adapt in a more flexible way to the economic cycle by shifting incremental investment and unemployment spending from bad to good times based on national adjustment accounts, rather than through unclearly defined discretionary measures as is presently the case. This third proposal would strengthen automatic stabilisers that were in fact cut in some cases during the crisis. In addition, we recommend a move towards ‘federal’ insurance for very large shocks. This should be based on automatic stabilisers and should not involve conditionality when it is activated. The best option is likely to be a European unemployment (re-)insurance scheme for large shocks. All countries that comply with a minimum set of labour-market harmonisation criteria would be required to participate, with their payments into the scheme based on objective criteria. Labour market harmonisation is also desirable for the functioning of monetary union and could be incentivised by the re-insurance scheme. The idea to complement European Monetary Union with some form of fiscal federalism is not new. In 1977, the MacDougall report suggested the introduction of a small budget of around 5-7 percent of GDP as a first step, the long-term objective being “a Federation in Europe in which federal public expenditure is around 20-25 percent of gross product as in the USA and the Federal Republic of Germany” (Commission of the European Communities, 1977, pp10-11). 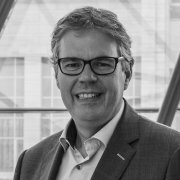 Fifteen years later, the Maastricht Treaty did not incorporate any form of ‘fiscal union’, except in the very narrow sense of fiscal discipline: fiscal profligacy at national level was rightly identified as a major risk to the monetary union, so each member state committed to maintain sound finances. The Stability and Growth Pact (SGP) details the operationalisation of fiscal discipline. A common budget existed but it was a European Union, not a euro-area, budget. This was, of course, no accident. There was strong political resistance in many countries to the sharing of fiscal resources and political sovereignty. And while academics and senior civil servants were arguing the case for fiscal integration, no political agreement was found. Some argued that fiscal and political union would eventually follow monetary integration. Others contended that the Maastricht set-up was stable. The discussion re-emerged in 2010 with the financial and fiscal crisis in several member states. The European Financial Stability Fund (EFSF), followed by the European Stability Mechanism (ESM), were established in order to have a fiscal instrument to deal with systemic risks in the euro area. The EFSF-ESM would lend to troubled governments provided they engaged in adjustment programmes designed to ensure that they remained solvent. Moreover, in the context of banking union, a small but single resolution fund was decided on. In December 2012, Herman Van Rompuy and the presidents of other EU institutions (Van Rompuy et al, 2012) further proposed to introduce a “fiscal capacity” in the euro area, in order to “improve the absorption of country-specific economic shocks, through an insurance system set up at the central level” (p5). In June 2015, the so-called Five Presidents’ Report (Juncker et al, 2015) noted that “all mature Monetary Unions have put in place a common macroeconomic stabilisation function to better deal with shocks that cannot be managed at the national level alone” (p14). It proposed to work on a “fiscal union” that would “improve the cushioning of large macroeconomic shocks and thereby make EMU over all more resilient” (p14). This Policy Contribution discusses what type of fiscal instrument in addition to existing tools would best improve the functioning of the monetary union. 1. Why discuss fiscal union? States typically have significant fiscal resources at the central level with regional government spending generally not exceeding 50 percent of total government spending (Figure 1)1. In federal countries, the share of regional spending is larger, up to 76 percent in Canada. If one were to consider the EU as a federation, it would be a complete outlier, with ‘local’ (ie member state) budgets representing 98 percent of total expenditure. As for the euro area, it has no budget except the lending capacity of the ESM (€500 billion in 2016, equal to about 10 percent of euro-area member states’ combined budgets). Following the conventional classification of public intervention (Musgrave and Musgrave, 1989), the purpose of a federal budget is threefold. First, it should finance those public goods that are common to all regions, such as research, infrastructure, diplomacy and defence. Second, it may carry out transfers between regions to correct geographical or historical disadvantages and maintain national cohesion. Third, it ensures macroeconomic stabilisation, ie smoothing out business fluctuations in line with the GDP trend at national level and across the regions, local budgets being generally constrained by tight balanced-budget rules2. The small EU budget has so far been entirely devoted to the first two objectives. This raises three questions. First, should the EU budget be expanded and/or re-purposed? Second, does EU and national spending need to be complemented with spending at other levels of government, such as the euro area or Schengen area? 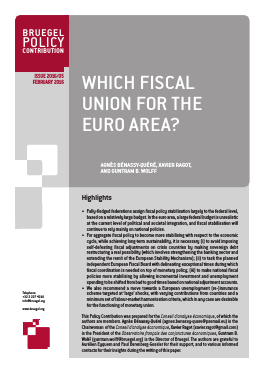 Third, does the euro area need federal resources for fiscal stabilisation? On the first question, we agree with those who argue that the EU budget needs to become more efficient and future-oriented3. The second question is related to the issue of multi-layered European integration. For instance, security and refugee policies and the control of external frontiers are common public goods mainly for the Schengen area, which has a different composition to both the EU and the euro area and could justify a Schengen-specific budget. At the euro-area level, although there is no budget in a strict sense, the ESM contributes to a common public good specific to the euro area, namely financial stability. Should the euro area be equipped with a budget in order to finance public goods such as infrastructure, energy transition, human capital, refugee and asylum policy or security? It can be argued that growth spillovers are especially significant within the monetary union, because of their impact on debt sustainability. Additionally, labour mobility is key to the smooth functioning of a monetary union; thus euro-area countries might have more at stake than others to secure the Schengen agreement. Finally, euro-area countries have already accepted more sharing of sovereignty than others. However, it is difficult to argue in favour of another layer of spending without first reconsidering the EU budget, and more generally reconsidering the assignment of policies across the different levels of governance within the EU. Such a re-examination could lead to deeper policy integration in the euro area in some fields with public goods, if the political will is greater in the euro area and the appropriate governance can be put in place. From a strict economic viewpoint, we are left with the stabilisation issue when thinking about a ‘fiscal union for the euro area’. In this this respect, the Maastricht set-up was sensible. In normal times, the European Central Bank (ECB) would act to stabilise shocks affecting the euro area as a whole: it would cut the interest rate in downturns and raise it in upturns. As for shocks affecting individual countries, there would be ample room to address them through national fiscal policy, provided fiscal discipline fully applies in good and normal times. The Maastricht set-up failed both before and during the crisis4. Before the crisis, for various reasons, the SGP failed to eliminate the sovereign debt crisis risk. During the crisis, the ECB soon exhausted its most efficient monetary easing tools, while a large number of member states were obliged to tighten fiscal policy because of market pressure, SGP rules or national fiscal rules. In order to correct these different failures, the euro area began to equip itself with the ESM, the banking union, and the reshuffling of fiscal and macroeconomic surveillance (six-pack, two-pack, fiscal compact). The question is then whether additional tools are needed, or whether existing tools need to be revised in the narrow perspective of macroeconomic stabilisation, which is the issue that is really specific to the monetary union5. Source: International Monetary Fund, Government Finance Statistics, September 2015. Dark red: federal countries. Fiscal stabilisation is the use of fiscal policy to support the economy through higher spending or lower taxes in a downturn, and to eliminate the budget deficit in an upturn. Fiscal policy is important at the country level to cater for country-specific shocks and at the federal level in circumstances when monetary policy is less effective than usual. However fiscal policy is not the only tool for macroeconomic stabilisation in federal countries. In federations, one important task of the federal budget is macroeconomic stabilisation at the sub-national level (through temporary net transfers) and at the country level (through federal borrowing). This stabilisation tool also operates through two other channels which are in fact more powerful: the diversification of financial portfolios, and the ability of public and private agents to borrow or lend at sub-national level6. Interestingly, responsibility for bank supervision and market stability is always assigned to the federal level, not to local authorities. Against this background, the idea to create a European capital markets union that deepens capital markets and increases cross-border capital flows, in particular in the form of equity, is highly welcome. However, the European Commission’s current proposals are far too timid to achieve the goal of integrated and stable capital markets. Deeper and more integrated capital markets will require major steps in the areas of harmonisation of accounting, insolvency, corporate transparency and taxation (Véron and Wolff, 2015). 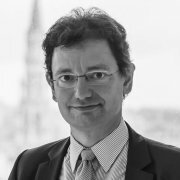 It is sometimes argued that, once the monetary union is made more stable thanks to a more resilient banking sector and lower public and private debt, there will be no need for stabilisation instruments at euro-area level: ‘risk reduction’ would be a substitute for ‘risk sharing’ (Gern et al, 2015). This is at best a long-term vision, however. Although efforts to strengthen the banking sector through micro and macro prudential supervision are clearly welcome, it will never be possible to completely rule out a serious financial and economic crisis. It is therefore necessary to have sufficient stabilisation instruments. In crisis times, whatever the ‘flexibility’ of the SGP, a national government might lose its capacity to smooth consumption. This is the raison d’être of the ESM, which will temporarily substitute for private lending and provide conditional funding. However, the ESM is not a substitute for a euro-area budget. As highlighted by Pisani-Ferry (2011), it is a mutual assistance scheme, not a common budget involving the delegation of some competences to the centre. Shifting significant parts of national government spending to the euro-area level would be an enormous step towards European integration. Such a decision would go far beyond the issue of macroeconomic stabilisation policies –it would go to the core questions of national preferences, political preferences, democratic legitimacy and long-standing historical differences between countries. Although the case for more collaboration in areas such as environment, defence, intelligence services and refugee and asylum policy has never been stronger, we doubt that countries are willing to shift the corresponding legitimacy for such decisions to the appropriate level to federalise their operation. Moreover, even such steps towards federalisation would barely be enough to generate macroeconomic stabilisation tools of sufficient size at the euro-area level, because the corresponding spending is unrelated to the economic cycle. As the build-up of any meaningful federal budget is not plausible in the short and medium terms, it will remain essential to improve the coordination of national fiscal policies. The euro area will likely remain a hybrid model in which fiscal policy is largely national but decision-making over that policy is shared7. Monetary and fiscal policies interact: when fiscal policies are loosened, demand and thereby inflation expand, which might trigger a monetary policy tightening. National fiscal policies therefore affect other member states via the reaction of monetary policy. Fiscal policy may supplement monetary policy. When monetary policy is constrained by the zero lower bound (ie the inability to further cut the interest rate), fiscal policy would need to be activated to increase inflation and demand. In such a situation, the sum of national fiscal policies becomes particularly important. National fiscal policies have direct cross-border effects. In normal times, these direct demand spillovers are limited and depend on the size and the openness of the economies concerned. At the zero lower bound, however, a fiscal stimulus in one country has unambiguous effects in neighbouring economies8. This externality is generally not taken into account at national level. These three effects provide strong arguments in favour of coordination of fiscal policy by the 19 euro-area member states, and between them and the ECB. For instance, significant fiscal consolidation in several member states, as happened in constrained countries in 2012, in a situation of negative GDP growth and decelerating inflation, should have been accompanied either by a fiscal expansion elsewhere or an easing of monetary policy in order to stabilise euro-area wide inflation. When monetary policy is at the zero lower bound, coordination of fiscal policies becomes crucial in order to prevent a deflationary spiral9. It is then a matter of collective choice about who should do how much in terms of fiscal stabilisation policy, beyond the more structural policies that matter for inflation. 2009 and 2011 (Box 1). While the relative role of fiscal and monetary policy in 2012-13, and the relative role of market constraints versus fiscal rules, can be debated, the overall macroeconomic performance of the euro area and the persistently low euro-area inflation rates are in our view enough of reason to argue for an improved system. The European governance toolkit does not presently allow a desirable aggregate fiscal stance to be distributed across the different national budgets of member states10. The pro-cyclicality of fiscal policy in the euro area (ie its inclination to accentuate rather than attenuate the cycle) is not a pure result of the crisis. On average from 1995-2008, both the fiscal impulse and the discretionary parts of fiscal policy were expansionary in upturns and contractionary in downturns11. This feature is not specific to the euro area: the United Kingdom, Canada and Australia also display pro-cyclical policies. However, the United States, Japan and Switzerland proved able to carry out counter-cyclical policies. Fiscal stabilisation is not an easy task, but the euro area seems to be particularly bad in its decision-making process: discretionary fiscal stabilisation seems not to work, while counter-cyclical automatic stabilisation only partially compensates for pro-cyclical discretionary policy12. The political economy approach to fiscal policy can easily explain why discretionary fiscal policy is mostly pro-cyclical: in an upturn, there are strong political incentives to spend the windfall gains, rather than to curb government debt; and because the debt has not been curbed, fiscal space is lacking in the subsequent downturn to support the economy through more government deficits. The question then is whether and how fiscal union could change this situation, in which the SGP has failed. Since national budgets are likely to remain prominent in the foreseeable future, we start by examining stabilisation capacity at the national level before moving to possible euro-area wide tools. The possibility to coordinate a fiscal stance, in particular when monetary policy is no longer sufficiently effective. One of the hotly-debated crisis issues has been the role of unsound public finances as a trigger or a cause of the crisis. It is certainly true that the Greek crisis was primarily triggered by unsound management of public finances in the years before the crisis. In other countries, other factors such as unsustainable credit booms played a major role in triggering and causing the crisis and had strongly negative fiscal implications13. This overall picture raises three fundamental questions: (a) how can major financial bubbles be prevented, (b) how can public finances be safeguarded in the event of a financial crisis, and (c) how can policymakers ensure sound public finances? In response to question (a), we believe that micro and macro prudential policies will have a significant role to play. It would be naïve however to believe that micro and macro prudential policies will be able to eliminate the possibility of financial crises in the future, which brings us to (b). In terms of question (b), the new EU bank resolution procedures, which involve extensive bail-in before public money can be tapped, are a first response. Breaking the sovereign-bank feedback loop will however require further action, including the diversification of banks’ sovereign exposures, a European deposit guarantee scheme, an effective, common fiscal backstop and, more generally, a harmonisation of legal and procedural frameworks (such as foreclosure rules and bankruptcy procedures) that also feed the loop. The hope that bail-in alone will eliminate the fiscal implications of systemic financial crises is naïve, because the bail-in tool is far less effective in a systemic crisis. Finally, there is a long literature on question (c). Following Calmfors and Wren-Lewis (2011) and Calmfors (2015), we argue that the combination of fiscal rules and advisory fiscal councils has an important role to play to improve fiscal policy, and in particular to reduce the deficit bias. Fiscal councils also make it possible to implement more ‘intelligent’ fiscal rules in a credible way. However, we are not starting the discussion in a steady state: several euro-area countries will have to bring down their debt ratios in a low-growth environment, which is very difficult and might entail self-defeating fiscal retrenchment14. Moreover, the political cycle or the expectation of a future bail-out might reduce the willingness of some governments to cut their debts. To make rules binding in all circumstances, it would thus be necessary at some point to make debt restructuring really happen in case of insolvency. The ESM provides financial assistance to euro-area member states under strict conditions and when the financial stability of the euro area is endangered. It therefore plays the important role of alleviating the fiscal adjustment in countries that are priced out of markets, provided the country is considered solvent. While we agree that the speed of fiscal adjustment in some ESM programmes has been too quick, it is undoubtedly true that without such assistance, and without debt restructuring, the adjustment would have been even harsher. Should the euro area introduce a rule-based debt restructuring procedure, as some scholars have proposed15? A pre-established procedure could help prevent situations such as in Greece, where the threat of insolvency becomes linked to continued membership of the monetary union. Such a procedure could also prevent situations in which, because those two issues become linked, countries enter excessive austerity programmes that could eventually defeat their purpose by leading to overly large GDP contractions that render sustainability even more illusionary. This is an argument in favour of early, significant debt restructuring16. Finally, a clear debt-restructuring scheme might revive market discipline in the euro area, providing market-led incentives for fiscal responsibility. But creating mechanisms that allow for early debt restructuring can give rise to moral-hazard problems. The solvency of a state is mainly a political question: governments can decide whether or not they want to do the necessary budgetary adjustment to remain solvent. Creating a relatively easy way out, by allowing for easy debt restructuring, would tilt incentives towards more irresponsible fiscal policy early on. The current setting, in which debt restructuring is possible but is painful because of the accompanying adjustment programme imposed by European institutions, might in fact strike the right balance between market discipline and fiscal responsibility. Federal states tend to rely more on rules and on control from the centre than on market discipline when large sub-national entities are at risk. Sub-national debt restructuring is relatively infrequent, and is not organised ex ante through debt-restructuring schemes (Box 2). By making debt restructuring more difficult, each of these three points makes it less credible ex ante. The risk then is to restructure too late, with additional costs. We do not cover here the problems related to collective action. Since 2013, sovereign bonds in the euro area have included collective action clauses (CACs) in order to coordinate possible debt restructuring. Aggregation clauses have been added to make CACs more effective by incorporating all existing bonds of a given class in a debt restructuring process, rather than acting on each series separately17. In order to further facilitate collective action, CACs could incorporate an automatic extension of maturities when an ESM programme is decided18. This would help the ESM deal with liquidity crises by reducing the amounts of redemption during the ESM programme, without constituting a ‘credit event’. It would also protect the ESM against an incorrect assessment of a crisis as a liquidity crisis, when it later morphs into a solvency crisis. In such a case, the eventual debt restructuring would apply to a larger pool of debts. Here we concentrate on the two other objections to sovereign debt restructuring, namely the (lack of) resilience of the banking sector, and the risk of contagion. 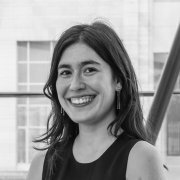 The resilience of the banking sector in the face of a sovereign default depends on the weight of the defaulted bonds on the asset side of banks’ balance sheets, on the ability of banks to absorb the losses on the liability side, and on the impact of sovereign default on other debtors in the economy. Since the beginning of the global financial crisis in 2008, a bold effort has been made to reinforce the liability side of banks’ balance sheets. On the asset side, however, the share of domestic sovereign bonds has increased in a number of countries. In 2014, for instance, domestic sovereign bonds represented 12 percent of the assets of Italian banks, the corresponding share being 10 percent in Portugal, and around 9 percent in Germany, Spain and Belgium19. A progressive diversification of banks’ exposures to sovereign risks is key for the credibility of a debt restructuring when a government becomes insolvent. One possibility would be to gradually end the exemption of sovereign bonds from large exposure rules, possibly in combination with the introduction of a diversified basket of bonds that would still escape the rule. Strategic default could become a concern if debt holding becomes totally diversified. However, the political cost of a default is generally high (Borenzstein and Panizza, 2009). In addition, the strategic default would only be possible if a majority of creditors agrees, which is unlikely if it is an unfounded strategic default. As shown by Greece in 2014-15, the risk of sovereign debt restructuring, especially if it is associated with exit from the euro area20, destabilises the banking sector through deposit flight. In the Greek case, massive Emergency Liquidity Assistance (ELA) played the role of lender of last resort to the banking system. However, relying on ELA involves the national central bank playing a quasi-fiscal role. A deposit (re-) insurance scheme at the euro-area level would help stabilise the banking system and protect the central bank from coming close to breaching the treaty21. It would also keep financing and credit conditions relatively unaffected by the potential debt restructuring, thereby limiting the fallout onto the economy. As a first step, such a scheme could be introduced for those banks directly supervised by the Single Supervisory Mechanism22. Like the single resolution fund, the deposit insurance scheme would be funded by contributions from the banks themselves. However, shocks to the banking sector might be of a different order of magnitude compared to the accumulated funds, and the funds will therefore not be fully credible unless backed by a fiscal instrument. National budgets alone would be insufficient for this, since relying on them would annihilate the efforts to break the bank-sovereign doom loop and would result in a continuing fragmented banking system. The ESM should rather play the backstop role. Recommendation 1: Complete the banking union with incentives to progressively diversify banks’ exposures to sovereign risks, and a deposit guarantee scheme backed by a common fiscal backstop. Envisaging a debt restructuring in one member state might trigger a liquidity crisis in another member state because of a direct effect or a pure contagion effect, especially in the transition period when government debts remain high. One way to circumvent this problem is through Outright Monetary Transactions (OMTs): the ECB is prepared to buy sovereign bonds on secondary markets in potentially unlimited amounts provided an adjustment programme is applied. OMTs have not been used so far, and they might become more complicated to use after a long period of quantitative easing23. The ESM should be prepared to provide automatic bridge financing to those member states that comply with the SGP but suffer from a sudden surge in their spreads. The existence of such an instrument would again make it more credible that a sovereign debt restructuring can really be implemented when one of the member states is insolvent. It would also smooth the discontinuity, hence the stigma associated with an ESM programme24. Recommendation 2: Reinforce the ESM so that it can act as a firewall in case of a sovereign debt restructuring. Credible fiscal rules are important in a monetary union. The rules provide guidance to markets (and to the central bank) on what the future path of key policy variables could be (Iara and Wolff, 2014). They also reduce the scope of unsustainable policies that can have negative effects on the union and they provide a transparent basis for policy discussions between member states. However, it is impossible to produce rules that set out an optimal fiscal policy for all circumstances. In certain circumstances, especially in major recessions when monetary policy is constrained by the zero lower bound, rules might (and have) prevent(ed) some euro-area member states from contributing to an adequate fiscal stance at the aggregate level, while not preventing some other countries to proceed with counter-cyclical policies. SGP rules are subject to three kinds of flexibility during a downturn. First, countries under the preventive arm of the pact may decelerate their adjustment efforts when affected by negative economic shocks, depending on numerical thresholds25. Second, countries under the corrective arm might see their adjustment path redefined at the discretion of the European Commission. Third, exceptional circumstances might be invoked if the euro area as a whole is deemed to be facing very bad times. Although they are welcome, these flexibilities are insufficient, for economic and governance reasons. From an economic viewpoint, SGP flexibility is mainly available to countries under the preventive arm of the SGP, and even in this case the flexibility does not eliminate pro-cyclical policies. Countries under the corrective arm might be concerned if their growth is really bad, but in this case market pressures could nevertheless force pro-cyclical policies. Most importantly, countries that comply with the SGP, by definition, cannot take advantage of its flexibility. If the euro area as a whole faces a very negative situation, there is no instrument to bind those countries to implement expansionary policies26. From a governance viewpoint, the flexibility of fiscal rules largely relies on the judgement of the Commission, while sanctions are decided by the ECOFIN council (or the Eurogroup). The problem is that the Eurogroup, which brings together the finance ministers of the member states, is not accountable at the euro-area level, but each member is accountable only at the respective national level. Hence, by construction, it is difficult for the Eurogroup to promote a euro-area wide view of fiscal policy. The European Parliament, meanwhile, has not given strong guidance to the European Commission on the area-wide fiscal stance27. The European Commission has announced the creation of a European Fiscal Board (EFB) in order to improve the discussions on a euro-area fiscal stance (European Commission, 2015b). This independent board of experts shall give recommendations to the Commission on the area-wide fiscal stance and on the implementation of the SGP. The EFB will strengthen the euro-area wide leg of the European semester (Bénassy-Quéré and Ragot, 2014). However, its guidance will have to remain “within the rules of the SGP”. We believe the discussion on the euro-area aggregate fiscal policy should explicitly distinguish between normal times and exceptional times at the euro-area level. Exceptional times would correspond to situations in which the ECB is not able to stabilise the economy without the complement of fiscal policy. The role of the EFB would be first to identify ’exceptional times’ based on transparent criteria such as interest rates and inflation. In exceptionally bad times, it would recommend a distribution of fiscal policy between all member states, whether they are covered by the corrective arm of the pact, the preventive arm, or are out of any SGP procedure. These guidelines would trigger the ‘escape clause’ of the SGP; the EFB would also propose coordination with unconstrained countries, helping to avoid the deflationary trap. In exceptionally good times, the EFB could look beyond the SGP and recommend large fiscal surpluses in order to complement monetary policy, reduce the risk of financial bubbles and accumulate fiscal space in order to cushion the next crisis. Recommendation 3: Task the European Fiscal Board with identifying extraordinary good or bad times at euro-area level and providing independent guidance on the appropriate euro-area wide fiscal stance and its distribution between national budgets. Such an advisory body can help to reinforce fiscal discipline in good times and to establish objectively when extraordinary circumstances require greater emphasis on the euro-area fiscal stance. A declaration of extraordinary times based on transparent criteria would also not give rise to any unfounded self-fulfilling announcement effects. In normal times, since there is much less need for fiscal coordination, each government would remain free to set its own fiscal policy within SGP boundaries and under the scrutiny of national fiscal boards, in line with the subsidiarity principle. As an advisory body, however, the EFB can only make non-binding proposals, leaving the decision-making to the democratic institutions. In principle, the decision would be taken by the Council, but again this could not be binding within the present treaty28. A revision of the treaty would be necessary to correct for the asymmetry of fiscal policy requirements in order to reduce the risks related of deflation and of overheating of the euro area as a whole. In exceptional times, the fiscal balance of each member state should be decided jointly through a democratic process that could rely on a vote of the euro-area finance ministers and a vote of a euro-area chamber of the European Parliament. In the short run, the implementation of a euro-area fiscal stance will mostly rely on peer pressure and the sense of responsibility of individual member states. Alternatively, euro-area finance ministers could decide to activate a fund that would borrow on the market in order to provide for fiscal stimulus in bad times, and reimburse the debts in good times, based on a common resource (Pisani-Ferry, 2015). The current fiscal rules are highly complex, opaque and difficult to understand, let alone communicate to parliamentarians. In particular, the computation of potential output and structural balances is extremely difficult and leads to unstable or even wrong fiscal policy recommendations. The flexibility in the SGP introduced by the Commission in 2014 in order to limit the pro-cyclicality of fiscal policy is itself quite complex, without delivering in terms of stabilisation. In federal countries, sub-national fiscal rules are generally much simpler, but this is compensated for by a large federal budget that carries out macroeconomic stabilisation. In the absence of a federal budget, however, the only choice is to adapt existing rules in order to encourage counter-cyclical policies while ensuring long-run sustainability. We believe that such a double objective should be achieved through national adjustment accounts rather than through SGP flexibilities. In ‘bad’ times (defined by the EFB), a member state would be permitted to exclude some specific incremental spending from the measurement of the government deficit. The corresponding amounts would be put in the adjustment account. In ‘good’ times (again, as defined by the EFB), the expenses of the adjustment account would be reinjected into the calculation of the deficit. Accordingly, the SGP rules could be streamlined by eliminating flexibility29. In order to avoid any ratchet effect, the list of public spending that would be subject to the adjustment would need to be very restrictive. Two candidates stand out: incremental unemployment expenditures, and incremental public investment spending. Incremental unemployment expenditures: if the EFB classifies a period as ‘bad’ in a country, the corresponding rise in unemployment should be considered mainly cyclical. Excluding the associated incremental spending from the measurement of the deficit would provide temporary stimulation to the economy. Safeguarding the associated expenditures would also contribute to better protection for workers. At a later stage, these incremental expenditures could be covered by a European unemployment insurance scheme (see section 4). 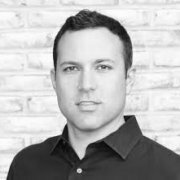 Incremental public investment: one good feature of government investment is that the spending can be pushed forward or backward, which is not the case for government consumption. Nevertheless, apart from 2009, public investment in the euro area appears either a-cyclical or (since 2010) pro-cyclical. Making public investment counter-cyclical would provide a powerful instrument for macro-economic stabilisation. We believe such counter-cyclical public investment would be easier to achieve at the country level than at euro-area level, where the decision-making chain necessarily takes longer30. To incentivise governments not to reduce public investment in a crisis, any fall in investment could be netted out with incremental unemployment spending. In both cases, the key requirement for the avoidance of moral hazard is to prevent national governments (individually or collectively through the Eurogroup) from defining what ‘good’ and ‘bad’ times are. An additional advantage of having the EFB at the centre of the scheme would be that the definition of ‘good’ and ‘bad’ times for each member state could also depend on the situation at the euro-area level. Implementing such adjustment accounts would have represented around 0.7 percent of GDP in 2009 for the euro area as a whole. Recommendation 4: Replace the ‘flexibility’ of the SGP with respect to the economic cycle by national adjustment accounts that would shift selective cyclical spending from ‘bad’ to ‘good’ times, as defined by the European Fiscal Board. 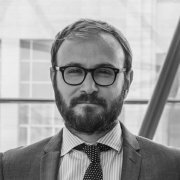 Although in the short term there is little other choice than to rely on national fiscal policies, this remains a fragile solution because fiscal coordination is not natural for policymakers entrusted with national mandates, while the implementation of ‘flexible’ fiscal rules has also proved difficult. In the longer run it would be advisable to move at least part of fiscal stabilisation for large shocks from the national to the euro-area level. The idea of a federal budget devoted to macroeconomic stabilisation in the euro area faces three major objections: (a) size; (b) effectiveness; and (c) moral hazard. In the foreseeable future it is difficult to envisage for the euro area a budget of comparable size to existing federations. The question is then how much stabilisation could a small budget of say 2 percent of GDP deliver: if a 20 percent-of-GDP federal budget provides a 15 percent smoothing effect in the United States (Sørensen and Yosha, 1998), shouldn’t a 2 percent-of-GDP euro area budget provide only 1.5 percent smoothing? In fact, existing federal budgets, which are the result of history, are not only devoted to macroeconomic stabilisation. They cover the running of federal services, military spending, or permanent transfers that might not react to the macroeconomic cycle. In the euro area, a macroeconomic stabilisation scheme might be designed from scratch with the single objective of producing significant stabilisation. As shown by several studies, a small budget could produce significant temporary transfers provided this is its unique mandate, and especially if the budget (i) concentrates on ‘big’ shocks and (ii) is not balanced every year but only over the cycle31. The literature based on real-time data has shown that fiscal policy can be counter-cyclical in its intentions while pro-cyclical in its results (Cimadomo, 2012). The reasons for this gap between intentions and results are forecasting errors and delays in the implementation of fiscal policy. As shown by the strong correlation of municipal investment in France with electoral cycles (Besson, 2002), discretion does not necessarily produce a counter-cyclical policy. Therefore, it might be safer to rely on automatic stabilisers. Most existing proposals for a euro-area stabilisation budget rely on a fund based on pre-determined rules. Adding a layer of taxation and spending necessarily raises the question of shared tax base or provision of public goods (common pool problem; see Von Hagen and Harden, 1995). The macroeconomic insurance provided to member states might also provide more of an incentive towards less responsibility, de facto transforming temporary transfers into permanent ones (Feld and Osterloh, 2013). The issue of moral hazard should be taken seriously, and the existing blueprints for a euro-area fiscal capacity are not equivalent in this respect. For instance, the incentives for governments to curb national unemployment will differ depending on whether a European unemployment benefit is given on top of national benefits, or only at the end of the national insurance period, when national entitlements have been exhausted. The incentives also differ depending on the trigger for European insurance payments (unemployment level or variation) and on the clawback system32. Unemployment insurance has emerged as the most studied project, whether it takes the form of a fully-fledged European insurance scheme (with labour market harmonisation) or a re-insurance scheme33. A European unemployment (re-)insurance (EUI) scheme could in principle be defined similarly to the United States where federal insurance provided an average support of around 0.4 percent of GDP per year to the states from 2008 to 2011. The federal level would intervene (i) only in very bad times, (ii) only to extend the duration of unemployment benefits (at the end of the insurance period, when the next step is social assistance), and (iii) with co-financing by the state. Limiting the payment of benefits to very bad times, properly defined, would mitigate moral hazard between countries and within countries, because it is hard to believe that countries would choose to stay in those very bad times. Such limitations would also allow payments to be made in those periods when public spending does have an impact on the economy while the public sector is highly constrained. Large shocks also have a disproportional impact on social welfare. Although the EUI would benefit the long-term unemployed, the system would not finance structural unemployment because it would be temporary and counter-cyclical. However it is difficult to imagine an EUI without prior minimal harmonisation of labour markets. Current differences mean that the unemployment rate in different EU countries reacts differently to the same shock, which makes transfers predictable ex ante34. Harmonising labour markets in the euro area would be helpful in itself to make monetary union function properly, to increase the impact of the common monetary policy and to foster labour mobility. However it would be a huge task that cannot be justified only by the introduction of an EUI. Hence the EUI should be considered an ingredient of the necessary agenda of at least partial labour market harmonisation. Like EMU itself, access to EUI would be granted after a number of convergence criteria have been fulfilled, with the objective of covering all euro-area countries35. Recommendation 5: Launch an ambitious agenda for labour market convergence. A common unemployment (re-)insurance scheme for large shocks would be one element of the agenda and would feature varying fees. In the short term, the potential of unemployment benefits to reduce fiscal pro-cyclicality should be fully exploited through an adjustment to national incentives (see above). The crisis has shown that a common currency without a common fiscal policy is not viable. However moving the euro area into a fully-fledged federation will take a long time, should it happen at all. In the meantime, it is urgent to reinforce the ESM, possibly to extend its remit, and to correct the tendency of national fiscal policies to be pro-cyclical, both in good times and in bad times.